Best Dyson Deals: With its status as the elite vacuum cleaner brand, there’s arguably no such thing as a cheap Dyson. But it is possible to clean up with a top Dyson deal, as our guide will show. Dyson wears its aspirational brand tag with pride. Each Dyson machine – whether it’s a lightweight vacuum cleaner or a stylish hair dryer – sports a desirable design, category-topping performance, and an innovative feature. With such advanced engineering comes a premium price tag. Looking around online will tell you that Dyson products are typically priced towards the top of their respective markets. However, you can occasionally get older Dyson products at a significant discount. That’s what our team of experts is here for. We’re continuously scouring the UK’s top online retailers for the best Dyson deals. It’s still a little tricky, though, because the Dyson range is constantly growing. What’s more, the British company tends to play around with its naming scheme as new products come to market, which can confuse things further. We’ve attempted to provide some clarification below. Besides rounding up the latest Dyson hoover deals, we’ve included sections for the Hot+Cool fan, as well as the Dyson Supersonic hair dryer. You can’t go wrong with either. All of the below prices were correct at the time of publication, but they’re obviously subject to change. We’ll be keeping this page updated, so be sure to check back. 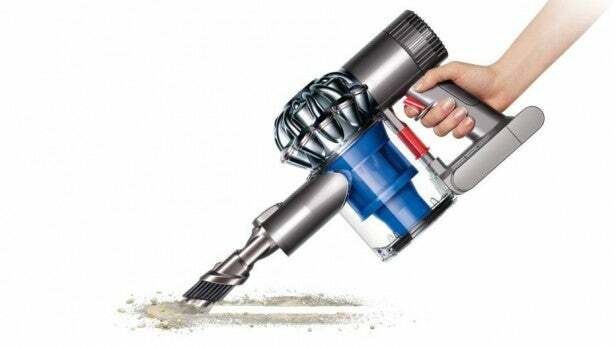 Let’s start our deal round-up with the very cheapest Dyson vacuum cleaner available. All of the below prices were correct at the time of publication, but they’re subject to change. We’ll be keeping this page updated, so be sure to check back. Looking for the Dyson V6 cheapest price? Then you’ve come to the right place. The V6 might be Dyson’s bottom-of-the-range motor, but it powers some of the company’s best-value vacuums. The cheapest are the V6 Trigger and Trigger Pro, which both feature 20 minutes of runtime and a handheld design. Perfect for small abodes and quick clean-ups. The Trigger Pro adds extra tools for tougher jobs. If you want an upright vacuum, the V6 Cord-free is your cheapest bet as the UK’s retailers hotly price-match this product. This deal gets you the V6 with a free Cordless Tool Kit, which includes a Stubborn Dirt Brush, Soft Dusting Brush, Extension Hose and Wide Nozzle Tool making the V6 far more versatile than standard. The Dyson Light Ball range is Dyson’s more manoeuvrable corded option and the Animal model is perfect for pet owners in particular. This upright corded offering is perfect for homes with pets. It has 3 suction modes and super lightweight for a vacuum of its kind. Not only is this a great saving, you also get a fantastic 5-year warranty. Don’t mind cords? In that case, the Cinetic range might be for you, and in particular the Big Ball Animal that’s on heavy discount and perfect for pet owners. There’s a massive discount right now on this fantastic vacuum that proves powerful uprights can still be nimble and manoeuvrable. There are four V7 models, with each step-up coming with more accessories for more varied (read: messier) homes. Start at the bottom with the Motorhead, Motorhead Pro, Animal and Total Clean. The latter comes with a load of extra tools for every job you could think of. You can bag yourself a tasty bargain on this cordless, bagless upright vacuum cleaner. Step up to the Pro model to effortless transition between different floor surfaces. You also get a 2-year warranty from John Lewis making this a better alternative to Amazon. The Animal model comes with even more accessories perfect for homes with fluffy friends. 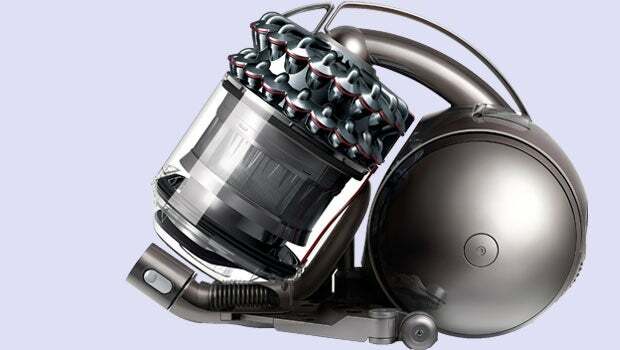 Have a look below for the Dyson V8 Absolute cheapest price. 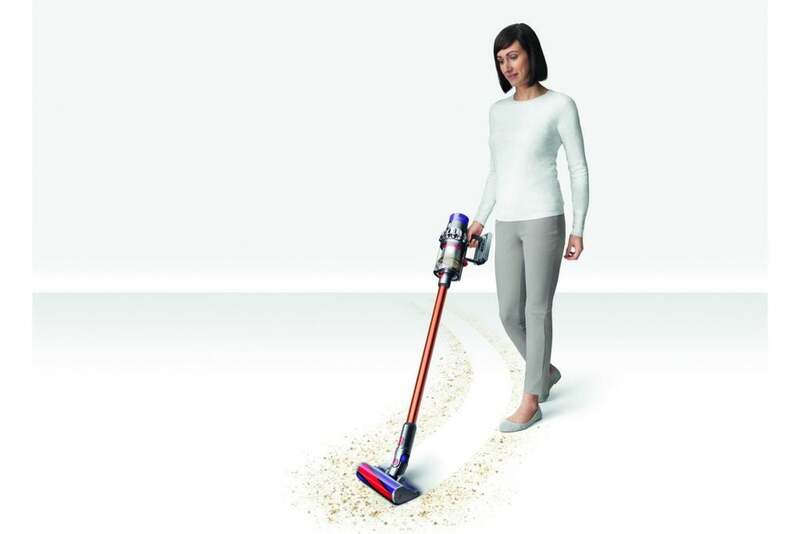 There are four Dyson V8 models, ranging from the basic Animal and Absolute models, up to the Absolute Pro and Total Clean models. The V8 includes a post-motor filter that gets rid of any dusty nasties that can cause allergies. Every model in the V8 range can run for up to 40 minutes, long enough for even the most ambitious Spring clean. A low, low price for the the V8 Absolute with separate cleaner heads for carpet and hard floor cleaning. 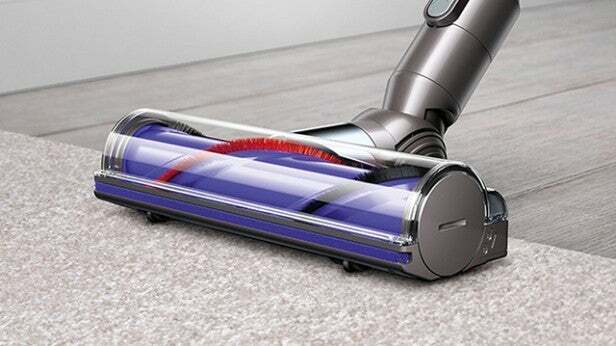 The V10 range was just launched in 2018 and is the top-of-the-line set of Dyson vacuums. Featuring up to an hour of cleaning time, an ultra-compact design and a host of accessories, this model scored a maximum 10/10 in our review. It’s by far the best cordless vacuum Dyson has created to date. It’s so good in fact, Dyson has vowed to stop developing corded vacuums. The V10 Animal comes with a motorised brush bar for tackling hair and ground-in dirt in tight spaces – perfect for pet owners. 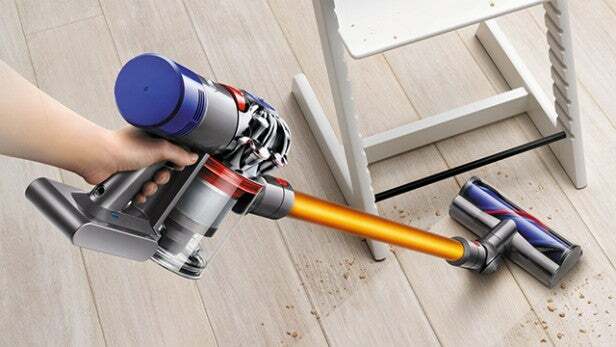 Get Dyson’s excellent new cordless vacuum cleaner with a 2-year guarantee. The ultimate Cyclone V10 model with all the accessories you could want for giving your entire house a clean from top to bottom. You get a 2-year guarantee from Currys. Dyson also makes products that blow air. The SuperSonic hair dryer is a premium product that’s remarkably effective, and it’s now possible to find it at a decent discount. Meanwhile, the ever-popular Hot+Cool fan and heater remains a decent deal if you shop around. And look out for the older Pure Cool Link air purifier. This model doesn’t have the fancy screen of the newer model, nor can it redirect its airflow backwards, but it has similar air-cleaning performance for a lot less. Cleverly, you can control it with Amazon Alexa, too. Dyson has just launched the Pure Hot+Cool, an update to its existing line of purifying heater/fan all-in-one. The new model has a display for giving you more information about the quality of your air. The launch of this new product is good news as it means that we’re seeing some deals for the old model. 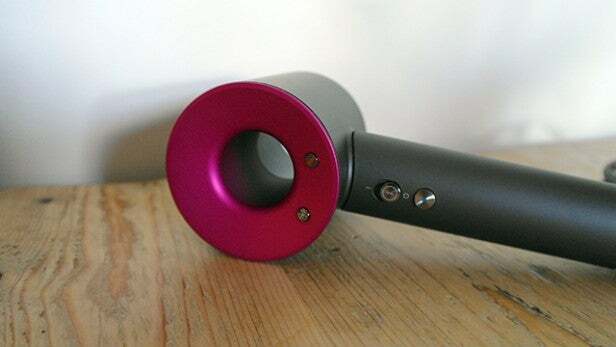 Dyson’s futuristic take on the humble hair dryer. The original desktop air purifier is about half the price of the new model here, but it does a very similar job and just lacks the new model’s fancy display. Dyson’s innovative, stylish and versatile fan and heater. Dyson’s fan heater keeps you warm in winter and cool in summer, while cleaning the air as it goes. This model is £50 cheaper than the new one. The post Best Dyson Deals for February 2019: Bag a cheap Dyson appeared first on Trusted Reviews.